One of the trends I love is that bold color continues to dominate. 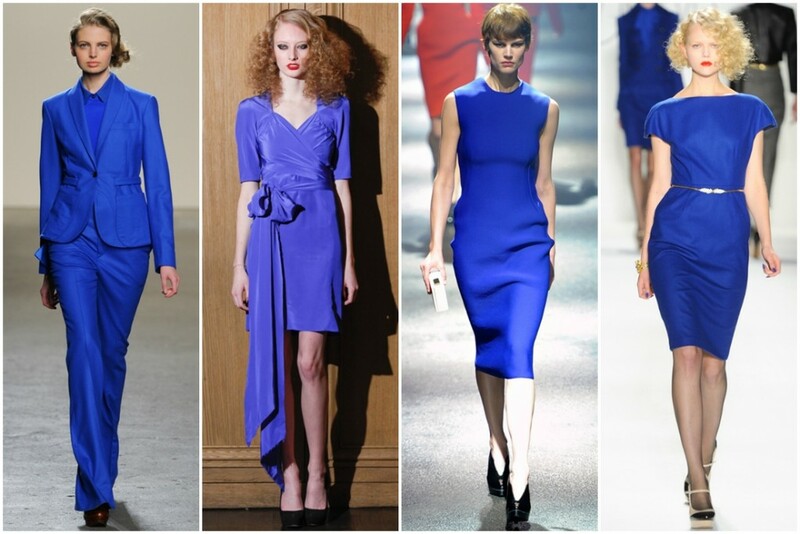 Blue is one that almost every skin tone can wear. Because of it's boldness you can actually start wearing this right now during the summer season. Instead of wearing it with a black or brown shoe accentuate it with bright colored sandals or pumps in red, yellow or even green. 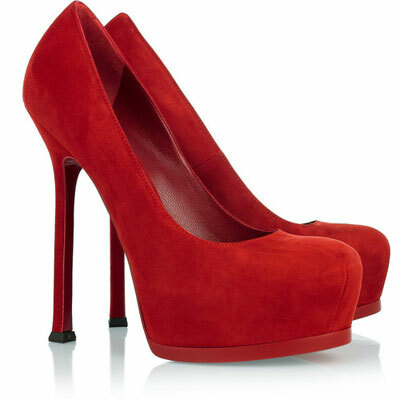 Bright red platforms look fabulous with blue dresses. Try yellow wedges like this pair by Jimmy Choo.